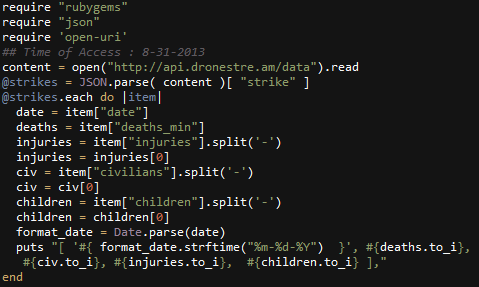 Ruby: Visualizing US Drone Strike Data. 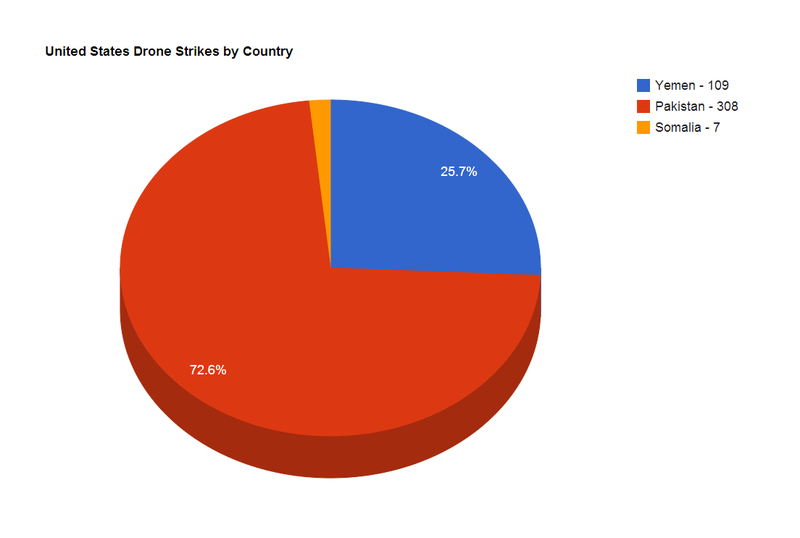 So I decided to make some quick visualizations using Google api. 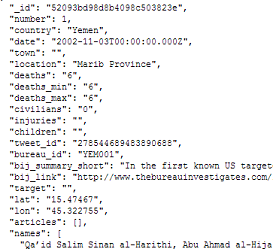 Code to display the date of a strike, and its attributes; deaths, civilians, injuries, and children. 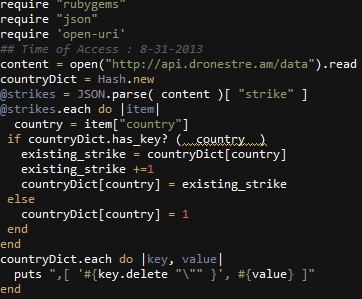 This entry was posted in DataViz, Ruby on 08/31/2013 by MantasCode. 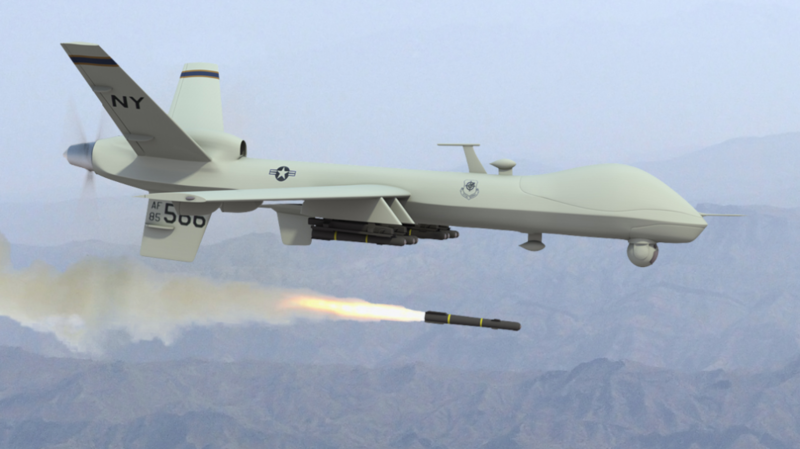 I’m doing a project on Islamic radicalization that will be applied to drone strike statistics. 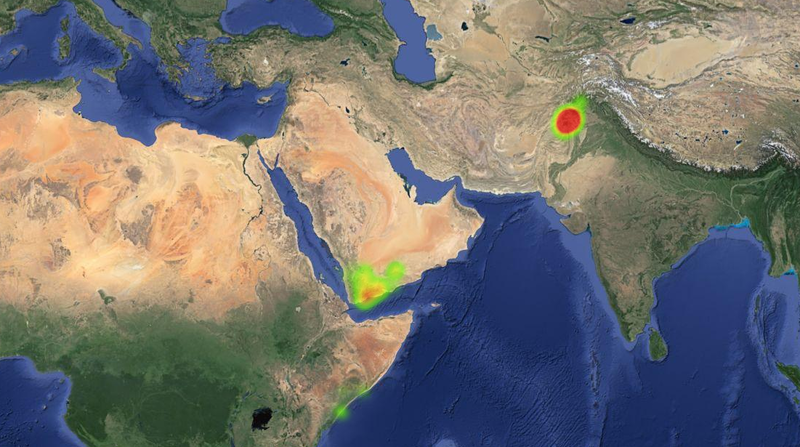 Is there any chance of getting an updated regional heat map?